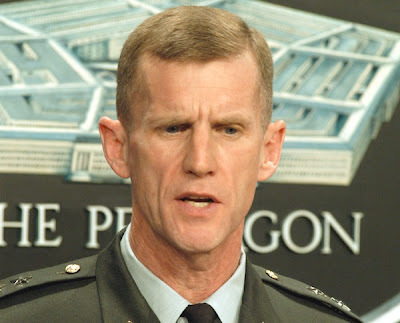 US General McChrystal has said that we must do dialogues with Afghan Taliban and i think there is enough fighting but we have got no results. General McChrystal said he will ask other allies as well to start a dialogue with Afghan Taliban. This statement of General McChrystal and other statements of US officials clearly showing that US has accepted defeat in Afghanistan and they have tried everything to defeat Afghan Taliban but cannot win the war in Afghanistan with fight. Afghan Taliban will only be ready to do dialogue with Americans and Nato if they will agree to give a date of going from Afghanistan. we have already discussed in our previous posts that there are many signs that Americans and Nato are about to run from Afghanistan and they will remain maximum two years in Afghanistan.